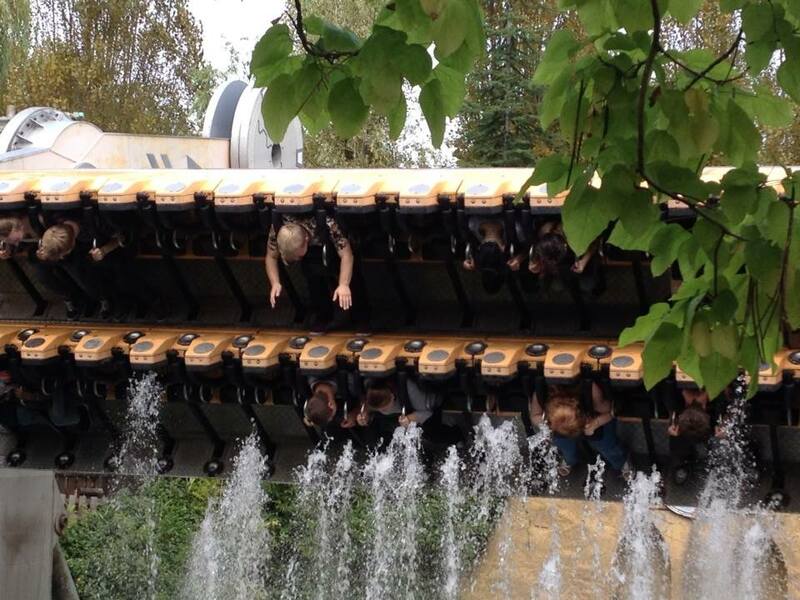 The best solution to this is to roll out on all rides the system they were trialling on Living Dead The Ride where screams are turned into energy, obviously. Simple innit. Genuine praise, @JoshC. will testify that I said this and meant it - I really liked all the flowers/landscaping around park, and the speakers outside the Dome. Heck, I can't say I missed the themeing in the Dome to be honest. The little things do make a big difference But the bigger picture is quite grim... so many of the rides look so faded and tired and in desperate need of some Thorpe Loving Care. Samurai, Rush, Quantum, Swarm station, Colossus and it's concrete area, Nemesis track - all looking pretty run down and sun-bleached. SAW Alive's sign and queue timer has been completely removed for those who are bothered. Was good to get on Rumba, that was a good laugh and got pretty wet. Stealth operations were pretty slick (and SICK #Silkstone) on Saturday I have to say - fair play there.. Can't believe @jessica2 had never experienced Depth Charge before either, shameful behaviour and you lose 250 eNThUSiaSt points for gross misconduct. Dom, Jessica and I are waiting to collect tickets so feel free to go on and we can meet you. Looking forward to tomorrow. Currently in Tallinn on the last day of our holiday so tomorrow I will be drinking ALL THE COFFEE. I believe the cladding/theming didn't last as long as expected being exposed to the lovely British weather all year so they decided to remove it. You can see how battered and worn the wooden side walls are so I can only imagine the state of the wood cladding at height, exposed to gusts of wind. If only they'd put a roof on that station eh? Remember last year the lack of TVs completely working so that's rather upsetting to hear they appear to not have been fixed. The ones facing the plaza were particularly burnt out/discoloured, I remember. I see over on the TPM updates that Swarms' station roof supports have now been completely stripped of wood, so now are just bare metal RSJs. Prediction: they will not be replaced and left as is all season. 😳😳 Don't worry adventurers, it's making a splash back soon! I never got to experience Galactica with VR as when I went last year - even on a pretty "dead" day in April that wasn't half term, the queue was so ruddy long because of how long loading was taking. The MAP Facebook group is my daily dose of humour and/or despair. Scenes. Do you mind m8 I'm 36 this year and will be planting a flower bed in my back garden in the shape of 36. They are making the Stealth track and vehicles completely grey and then hanging a massive question mark underneath the Stealth arch for 2019 season. I reckon all of them are genuine judging by recent posts! However, if I was Derren Brown I'd sue because he's more of a frites kinda guy then going to the chippy innit. Well they seem to spend most of their time ripping the p*ss out of their stock images on their own Facebook page so it would probably be a good idea.